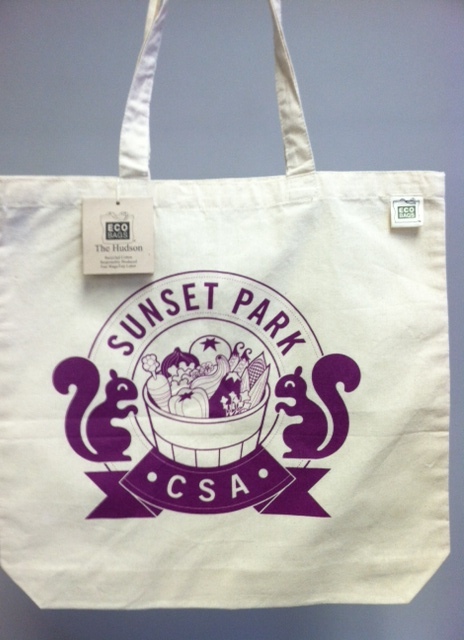 We make bags for CSA’s and Farmers Markets all over the country. We can make yours, too! This one is recycled cloth and is 100% recyclable. It’s lightweight, sturdy and collapsible and can hold as much as you want to carry.